Medjool will soon no longer have a monopoly on rooftop bars in the City. Brace, Mid-Market: the Grant Building, on Market and 7th streets in San Francisco, is on the road to getting a restoration, and becoming a 94-room hotel with a 3,500-square-foot night club, a 2,500-square-foot restaurant/cafe/bar, and a 7,500-square-foot "open air roof bar" — according to a notice sent out to nearby residents. 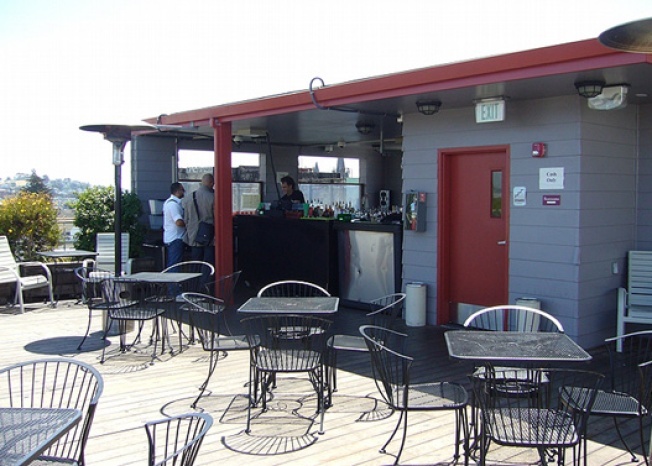 The project would bring San Francisco its second such rooftop bar, if you also count the one currently nixed at Medjool, but that's slightly beside the point. The owners of 1095 Market, PRJ Holdings, bought the building from Seligman Western Enterprises in 2008, several years after a big fight between Grant Building tenants and Seligman ended with a sort of truce not to raise rents (too much). Shortly after PRJ Holdings took over, they sent a letter to Grant Building tenants saying that "contrary to what some of you may have heard or read on signs posted in the building, we have no intention of 'evicting' tenants who are otherwise in compliance with their lease — indeed we have no right to do so." Still, the new development suggests that Grant Building's office tenants are looking at end-of-lifes on their respective leases. As for the restoration — the historic facade of the 1905 building would make a comeback (meaning the cornice returns? ), while the interiors would get rejiggered. Also, the owners don't plan to add any parking (there currently isn't any anyway).